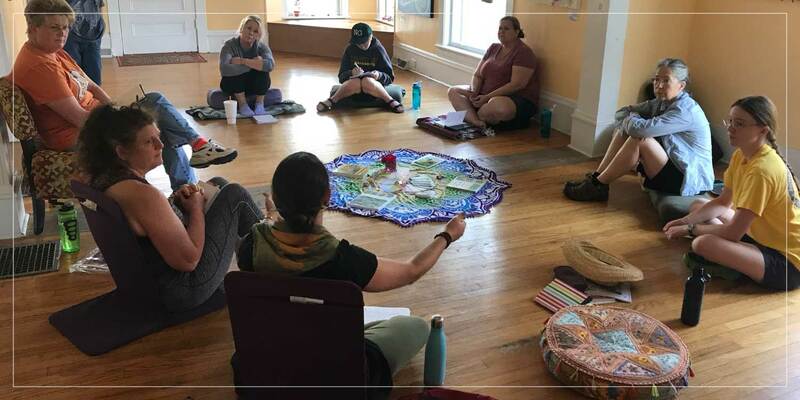 “I was first introduced to Kim Bushore-Maki and to Shakti in the Mountains by a mentor when I asked her how I could reach out to help underserved women in our community. What I discovered upon meeting Kim was that she wasn’t only reaching out to women, she had a vision for creating a model community for women right here in Johnson City, Tennessee. The creative energy present in all humans. Often referred to as feminine in nature. Women have the power to change the world and we do – every day. In board rooms and in class rooms, on fields of play and on fields of war, at home and at rallies, women are making a difference. “It’s truly rare to find people, let alone a community, that nurtures your most authentic self, who sees, believes and helps you discover and grow the best part of You. I came to Shakti for a yoga class and what followed changed my life. The openness, acceptance and grace given by Kim and the community here is like a breath of fresh air! Within each woman is the power to create worlds. Women are strong, creative and competent. We deserve respect, love and safety. When women are encouraged, nurtured and celebrated, a better tomorrow is possible. No matter your address or culture, communities are healthier, safer and richer when the power of Shakti is valued and nurtured. Shakti is the life-giving, creative energy that births dreams and feeds intuition. It is the energy that makes us feel alive and vibrant and vital. When we do not honor or nurture Shakti energy, then we often feel depleted, apathetic and hopeless. Shakti is what breathes life into our hopes and aspirations and makes all things possible. At Shakti in the Mountains, women (and the men who love them) are invited to put down roots and reach for the sky. An oasis from the daily grind, Shakti in the Mountains is a holistic wellness center, where authenticity is valued and dreams are encouraged. 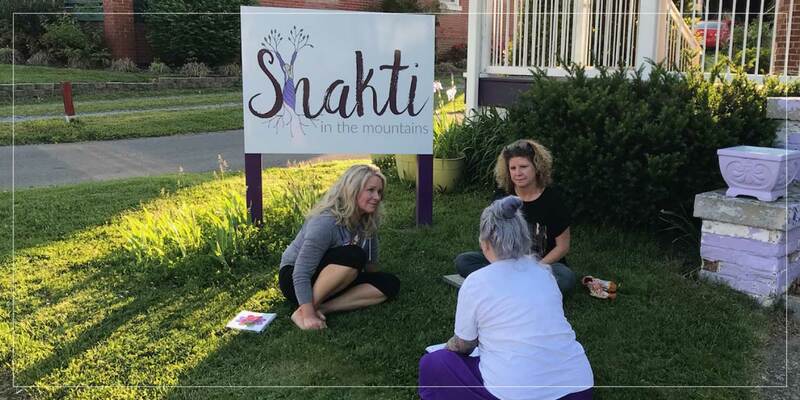 “Shakti in the Mountains is a nice place to go to fellowship with other women. I’ve enjoyed doing many things such as breaking ground for an edible garden and art projects that connected me to my creative side. I’ve also had the chance to learn many ways to help improve myself with the different seminars offered.